A new year is here and everywhere we look we see references to resolutions and goals. At our core, we yearn for the purpose for which God has wired us. We want to embrace the year ahead as one of making strides toward living out our greatest purpose. Setting goals is critical, resolutions can be good, and a one word of focus is inspiring! But there is something more. More to the setting and seeking of goals. Something I believe needs to go hand-in-hand with it. I think sometimes in the pursuit of our purpose, our inwardly directed focus has the potential to derail us. Causing us to miss the wide-open doors God has awaiting us. We get trapped in a tunnel. The only object that catches our attention is the light at the end. Surrounding most tunnels is a whole world of adventure and need. But we miss it. We miss potential and we miss unique appointments arranged by the ultimate Storyteller and Map Maker. Setting goals and pursuing purpose is a good thing. It is a strength to be admired. But, the enemy loves to use our strengths as a thorn. So we need to be aware. The evidence of unawareness has been unavoidable lately. Sweet hurting friends with many around them, but only few who are aware of the hurt. Keeping conversations at the surface, no questions are asked and no insight into the condition of their hearts are made. Our Christian circles are surely not immune. No one is. I don’t think it is an unusual scenario. It is more common than we want to believe. Even in ourselves. Have we become a society that intensely pushes forward, yearning so deeply for purpose that ironically we miss the very purpose we are searching for? We forget to reach into lives. Risk distraction. Ask questions and encourage. See the wonder. Find the joy. Hold the hope. Our purpose might just be the people God has placed along our path. They are our preparation for the next leg of the journey. What if they are the doorway out to our paths of purpose? What if our greatest ministry results from the moments we spend listening to a friend who is losing hope? Designed by the ultimate Map Maker? Without a doubt. So this year, I want to ask myself. Do I shut buy nolvadex in india doors God has opened for me by clinging to the safety of my tunnel? Is it my fear that keeps me unaware, therefore turning my back on the next opportunity? Or might it be my busyness that causes me to miss the look of pain in the eyes of another? Maybe it’s all about my selfishness. That’s a hard truth to swallow, but am I so absorbed with my own goal that I cannot recognize a discouraged soul needing an encouraging word? I want to ask myself those questions and then I want to pray. Please, God, make me aware. Aware of each open door. Aware of each life, each direction You want to send me because I know my goals can never be as great as Yours. I must not have such a tight grip on my goals that my hands are incapable of receiving Your blessings. Then I’ll plunge into 2016. 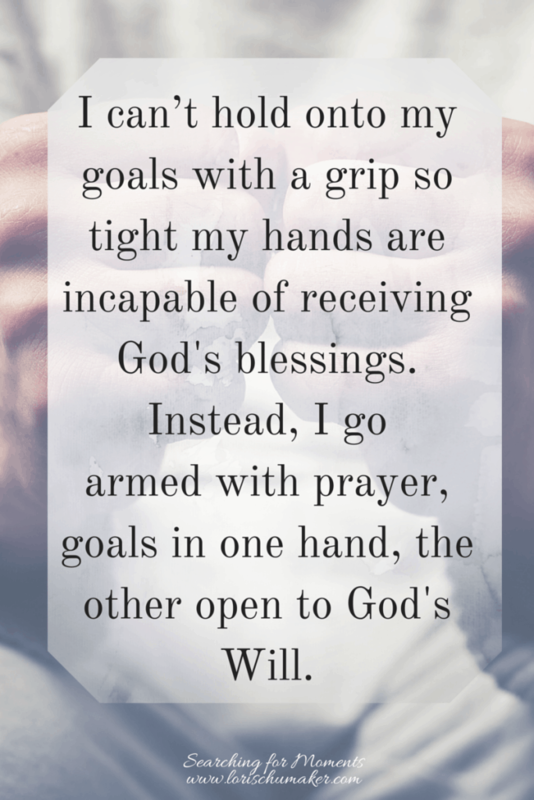 Armed with prayer, one hand ready with goals, and the other open to God’s will. Prepared for distraction, prepared for blessing, prepared for reaching in. With fear aside and eyes wide open, taking in each moment God has put before me. I don’t want to miss the moments filled with opportunities, open doors, or pathways. The very best pathway … His pathway. Because each of those moments boldly point to the glory of our God. The God Who loves us more than we can fathom. The God Who forgives us and relentlessly pursues us. The God Who deeply yearns to design an extraordinary journey for each and every one of us. I am so excited and thankful for the year ahead. I believe in God’s goodness and all His promises for all of us! As you plunge into 2016, I pray you are empowered to pursue your goals with an awareness that doesn’t shut any of God’s open doors! I’d love it if you decided to walk alongside me this year! God used each of you in unique ways to bless me immensely last year, I cannot even imagine what He has in store this year! If you haven’t already, make sure to sign up to have each post delivered directly to your email inbox. I love knowing who is with me on this journey!! And for my writer friends! I would love to have you guest post with me! I don’t want this space filled with only my thoughts. God has gifted so many of you with a message and a gift of writing. We all need to hear those messages! Check out the “Guest Writers” tab above or click here for details. Each week I connect through Link Parties with some fabulous bloggers! Check out my favorite places to hang out each week here or click on the “Link Party” tab in the menu bar above! Lori, the Holy Spirit sure speaks right through you! Our own goals can often give us an inward focus if we are not aware of the doors that God may be opening right before us! Powerful! You are such a blessing to me! Such a wonderful post Lori! I value living a life of intention but that can, at times, lead to drivenness. I loved this quote: “am I so absorbed with my own goal that I cannot recognize a discouraged soul needing an encouraging word?” I took 3 weeks off at the end of the year and realized how much more available I have been to SEE the needs around me. I was so tired and in need of a rest but somehow I had the energy to serve those around me in a different way. I’m praying that as I go into the new year that I will maintain the awareness that I gained during my time of rest. Thanks for writing. Hi Angela, I’m so glad you took that three weeks for yourself! I will join you in praying that the time of rest will maintain that awareness and that you remain gentle with yourself! Thank you so much for visiting, my friend! It was so good to hear from you again! I look forward to connecting so much more in 2016! Thank you, Lori, for this encouragement to be more aware of the open doors God puts before us and to not hold onto our own goals so tightly that we aren’t open to His blessings. Because of chronic illness, some doors have closed for me, but I’ve been praying He will help me to bloom wherever I am planted with whatever He has given me. May we keep our focus on Him and His glory in this new year! I just received the Panera gift card today. 🙂 Thank you so much, Lori! My hubby and I are looking forward to using it. Blessings and hugs to you! Hello, Lori! This was a timely post for me, thank you. I especially could relate to “the enemy loves to use our strengths as thorns”. If we do anything outside the will of God, it is meaningless. We all need goals, but must be prayerful and open to God’s leading. Glad you were my neighbor at #IntentionallyPursuing link up. Gleniece, I am so thankful God used these words to speak to you in this moment! Thank you for visiting! I am so excited to see what God will show us in 2016 as we keep our eyes and hearts open to Him!! This is something I need to remind myself of, Lori. It’s easy to look at distractions and interruptions as hindrances when God may be using those very same things to keep me on “His track.” Thanks for the reminder. It’s encouraging and Happy New Year to you, my friend! Hi Beth, I am so thankful these words were an encouraging reminder! It is such a fine line we walk between God’s track and our track! It is so easy to fall to one side making it all our track. I’m looking forward to the year ahead as we blog alongside one another 🙂 Happy 2016! I just told my kids yesterday that the enemy wants to use our gifts and strengths. They should always be aware. I love your post especially since it is exactly what me and my family have been discussing. Thanks for your beautiful words. Oh, Sherry, I just love it when God shows us in several different ways what it is He wants us to understand! Thank you so much for visiting and I am so thankful these words blessed you! You’ve said so many good things here, Lori, such as our goals will never be as great as God’s. Reminders we all need as we pursue a 2016 filled with abundance and joy. Coming over from #livefreeThursday. Blessings! This is beautiful. I go about my day so quickly sometimes that I’m unaware of the doors I shut and the doors I just pass by. Thank you, Lux! It is so difficult to slow down and notice those doors! I KNOW I miss them … but this year I pray it will be different for both you and I! Lori, I like how you said, “Surrounding most tunnels is a whole world of adventure and need. But we miss it.” I’m afraid I’ve focused on the illusive light at the end and missed the adventure and people around me too many times. Thanks for the reminder! Lori, Thank you so much for joining Faith ‘n Friends Blog Hop. I really love this. Open door goals. I have my blogging year planned, and although I so excited about The Faith Project this year, I appreciate this reminder to watch for God’s open doors. Looking forward to featuring this at next Friday’s hop. Blessings! Thank you so much, Deb! I am so honored that you are choosing to feature this post! I love Faith’n Friends! You all have such beautiful hearts for Jesus and love so great big! It is one of my favorite stops each week! Faithful! I want the Lord to find me faithful to him – even those open doors that can be scary to walk through. Thank you for this reminder, Lori. This is something the Lord showed me I needed to work on this year. Thanks for sharing with Thankful Thursdays. It is good to have goals, new things to pursue and even new words to focus on. But, I never want to miss what God has for me. I will hold my goals and new word lightly and leave room for a move of God in my life in 2016. Thank you for joining the conversation at Weekend Whispers. Lori, Your words are a challenge to my heart. I love to be challenged to walk down a deeper with Christ. Thank you for sharing with us at Sitting Among Friends on Wednesday. We hope to see you back weekly to inspire us with more great pieces. Thank you, Jaime, for your kind and encouraging words and for hosting Sitting Among Friends! It is a lovely community! This is a great post. I would so hate to miss out of who I should be or who God needs me to be cause I was too busy, distracted, complacent. Think of those we were supposed to assist through life, if we don’t become who are supposed to be, they are lost too. How sad!!! I’ll keep looking for those opening doors! Hi Nikki 🙂 I love that perspective! Missing our open doors has a domino effect which causes others to miss their doors! Woah! Thank you so much, Jenny! Love you back, friend!! This is a fantastic post, encouraging believers to be flexible and open with what God would call them to. I appreciate the wisdom you share here. Thank you for linking this with us at the Grace & Truth link-up! Holly, Thank you so very much for your comments and thank you for hosting such a wonderful link-up! I so enjoyed visiting your website as your neighbor at the Grace and Truth Linkup. I resonated with what you shared here and it fit with what I was feeling when I wrote a bit about resolutions at the end of December. I think they can and often do put us in tunnels. I also believe we often miss the very things the Lord would have us focus on, work toward, improve on, etc. After all, He knows us best! I sooooo get this Lori! I wrote a post a week ago about being too goal oriented. God has taught me that my strength can become my weakness when I leave it unbridled. I became keenly aware this year that it was a slippery slope- to build a ministry while neglecting ministry. The irony is unmistakable. To counter the effects I was feeling, I decided that I was not going to “strategize” or “plan” for 2017 as much as I was going to focus intently on Christ. Having just finished the chronological Bible this year, I am going to slow things way down and only read through the gospels chronologically, in an effort to eye the true prize- not the platform, not the invitations, not the book deal, but the “one thing needed” like Mary perceived Luke 10. I’m convinced that through lingering and abiding with Him, He will see to everything else, bringing to my attention what I NEED to respond to, for His purpose and my benefit. I love how you are processing some of the very same convictions:) Blessings to you friend!